Cannabis intoxication commonly heightens the user's sensitivity to external stimuli, thus making colors seem brighter and smells more pungent. It also distorts, sometimes severely, the user's sense of time. The term "temporal disintegration" (Mathew, Wilson, Humphreys, Lowe, & Weithe, 1993) has been coined to describe this slowing of subjective time after use of marijuana. In addition, at least in low doses, marijuana causes mild euphoria and feelings of relaxation. It is also know to increase appetite. There is some controversy over whether individuals intoxicated with cannabis pose a hazard, as they seem to be attracted to thrill-seeking behavior and are usually subdued. 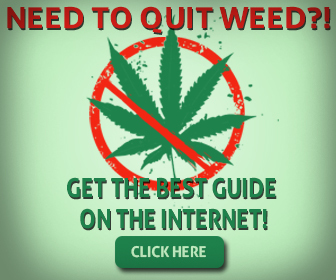 Some people have argued that individuals who smoke marijuana are less likely to drive fast; however, reaction time to complex and unforeseen situations is slowed, and muscle strength and hand-eye coordination is decreased. Because it delays reaction time, alters time perception, and for many other reasons, marijuana must be considered a danger to those who would operate a motor vehicle or use complex machinery or equipment, thus putting themselves and others in danger. At higher dose levels and with chronic patterns of use, cannabis can induce panic attacks (Deas, Gerding, & Hazy, 2000). This is especially com mon in first-time users or in older experimenters who have not used marijuana for a long time. Hypervigilance, sometimes resembling frank paranoia, is seen with higher doses. Cannabis-induced psychosis is rare but does occur, especially in countries where heavy smoking is more common and the THC concentration of the plant is higher (Chopra & Smith, 1974). The term "hemp insanity" refers to this type of psychosis. The question of whether the drug causes long-term psychotic disorders is more difficult to answer. Clearly, first-break psychotic episodes are commonly associated with marijuana ingestion, but again, whether they are causal is a matter of debate. More probably, individuals who are prone to psychosis are attracted to the drug. In a population that is prone to psychosis, such as individuals with schizophrenia, marijuana is a risk factor for relapse and psychosis (Arseneault, Cannon, Witton, & Murray, 2004; Verdoux, Gindre, Sorbara, Tournier, & Swendsen, 2003). Much has been written about the amotivational syndrome, and it has remained a controversial entity (Lynskey & Hall, 2000). It is marked by apathy, poor concentration, social withdrawal, and loss of interest in achievements (Solowij, 1998). Because research in the topic is contradictory, it is unclear at this time whether marijuana induces amotivational attitudes and behavior or causes permanent, irreversible impairment in cerebral function. However, the general consensus is that it likely does not cause permanent cognitive damage. Still, individuals who are chronic users tend to smoke marijuana often and in high doses; cannabis has a long half-life, and users can be thought to be chronically under the influence of marijuana or "stoned." So marijuana clearly causes impairment in the acquisition of short-term memory, at least for the time an individual is intoxicated, although there is evidence of specific residual effects (Block, 1996; Pope & Yurgelun-Todd, 1996; Schwartz, 1991). If an individual, especially a young person, is "stoned" nearly all the time, his or her accumulation of knowledge will be seriously impaired (Lynskey & Hall, 2000; Solowij, Michie, & Fox, 1995). If the intoxication continues long enough during critical growing time, it may have permanent consequences. This is the most dangerous and insidious aspect of marijuana use. A high school student who is constantly "stoned" will not learn to the degree to which he or she is capable of functioning. For many people, this will lead to a lifetime deficit that can never be completely repaired.